I’m thrilled to bring you this Q&A with Patrick Cook as part of my Embodying Character Series. So far the response to Part One, featuring Ellen Denny who plays Anne Shirley, has been tremendously positive, so thanks to everyone who has shared, tweeted, and liked it. What becomes clear here is that both actors have a genuine connection and respect for their characters and how that is conveyed, as well as for each other. It isn’t everyday one can have the sort of meta experience of interviewing a person who plays one of your favourite fictional characters. Many of you are aware, I have been writing about Gilbert Blythe for a long time. It might all seem rather–well strange–to spend this much time thinking about a fictional character, but I think in many ways it has helped me explore character and things to consider when crafting a romantic partner. Gilbert Blythe been an integral part of my MFA critical thesis & lecture and became the focus of two of my discussions at the biennial L.M. Montgomery conferences in 2010 and 2012. 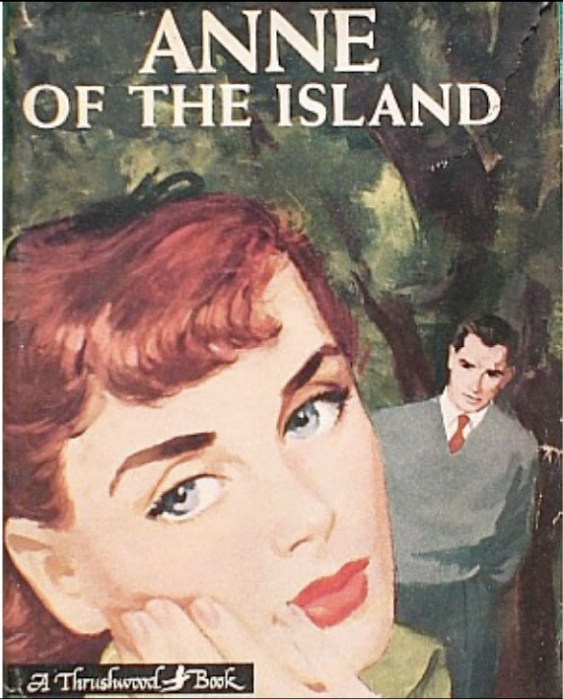 While in Anne of the Island Gilbert’s qualities are certainly referred to (by sexually aware Phil), in the musical it is an important part of the narrative and the actor who plays him has gotta live up to the–how do I put this–expectation. Every time Ellen’s Anne appears on stage, Patrick’s Gilbert is looking at her, watching her in a way that tells us the true depth of his feelings. His Gilbert adores Anne, but that isn’t all he is–he’s his own man, too. There is a physicality that seems to embody a deep sense of humour, cleverness, ambition, and (yes) sexuality. This last characteristic Anne is very uncomfortable with, but is something every girl in Avonlea embraces. (See the Mr. Blythe track here.) We feel Gilbert’s plight because we see all that he is and it breaks our heart that she can’t see it, too. Patrick Cook was born and raised in St. John’s, Newfoundland and moved to Toronto, Ontario to attend Sheridan College’s Music Theatre Program. 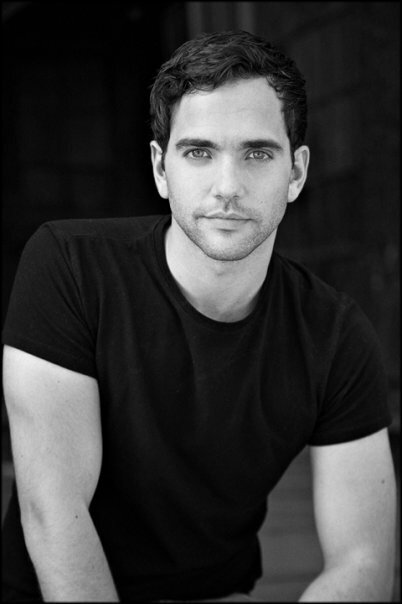 After graduating he has been seen in productions across Canada and Europe. Sidebar: I’m pretty sure that I saw that The Sound of Music production and wish that I kept my programme. Lesson: Always keep your programmes? 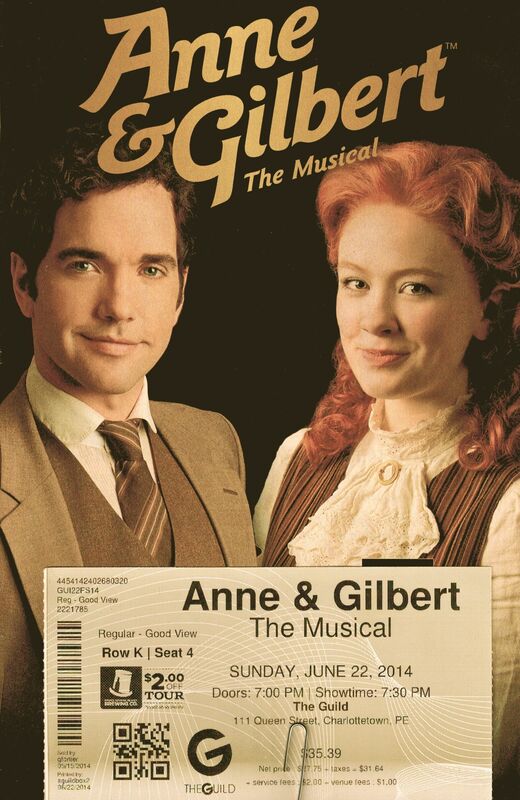 Mel: You had played Gilbert Blythe before in the Anne of Green Gables musical. You mentioned in a CBC interview last year that (and I’m paraphrasing here) it isn’t often that you get a “second crack” at a character, see you how you’ve grown and matured and then how he has. Anne and Gilbert and Anne of Green Gables are quite different. How did you approach developing this character, given that you had played him before? Did you notice that the younger Gilbert helped educate the man he became? Were people’s perceptions a factor? Patrick: It’s true! The opportunity to carry on the lifeline of a character past the “happily ever after” or the final moment in a tragedy are few, if at all. And this is my only experience with having this unique chance in my career thus far. Without sounding too studious or keen, I will say this, an actor must always prepare for the script he has, and not that of another story. The moments in this particular chapter of Gilbert’s life are unique and he’s experiencing them for the first time. His love for Anne is new and in a way undiscovered. His schoolboy crush and attraction to this wild rose are present throughout Anne of Green Gables and at the beginning of Anne & Gilbert, but where that love grows and develops is a surprise to him. So for me the momentum of the story is somewhat jilted, as it was in 2004 [when] I last played Gilbert. I try to remember the cocky, clever, aloof Gilbert, as well as the sensitive, insecure, and vulnerable boy. I feel as though much of who we were as young adolescents never fully goes away, diminish perhaps, but never completely vanish. I charge my performance with those simple qualities aforementioned, and from there allow them to shine in different strengths according to the story and scene we are communicating. I have been told by countless audience members, “You are Gilbert! You even look like Gilbert!” That to me is a huge compliment. I have a “Gilbert” in my mind and if I’m being completely honest, I would say we share many of the same physical features, as well as personality traits. So I try to bring my performance up to my own high standard and hope it is enough for every audience member. Mel: I find that when I approach a novel, each one writes itself slightly differently. In your other roles , do you find that when you start to embody a character, do you use similar techniques or have to incorporate something new? If so, how? Patrick: I approach a lot of my roles the same way. And it’s simple in theory. I read the script from cover to cover without allowing myself to consciously favour the role I’ve been cast in. I try to absorb the story in its fullest, then read again and again. See where my character fits into the story and how he effects and is affected by the events that occur. Only after several readings will I start to tackle the inner development of his character. If there is other material available to help character development, I explore it after understanding the script at hand. Mel: Does that help you step into character and do you feel a physical difference? For example, with Gilbert, is there something you notice about the way you move or speak that makes you aware that you are now playing someone else? Does he sound different in your head? Patrick: From time to time specific physical choices are implemented into the role. A cane, or a cigar in hand can sometimes be the missing piece one needs to feel as though they’ve “found” their character. Gilbert is young, Patrick is young at heart. So trying to find a loose, rougher physicality is something that I explored. As he matures I allow him to have more stillness and strength in his body. As he becomes more comfortable with who he is and what he wants, it’s reflected in his body. Mel: I completely see that transition, particularly in the second half of the production. There is a mannerism in the way you/he carries him/yourself, that is definitely different in the first half of the show. Along those lines, when you considered Gilbert’s mannerisms and expressions. Were they something you tried to give him or that he gave to you? Patrick: I feel like there was a lot of “Patrick” in this performance. Gilbert is more of a country boy and dislikes the wearing his formal wear at the beginning of the show. Patrick however, loves a good suit. So trying to allow growth throughout the show, in his level of comfort with his more “adult/formal” clothing was a nice hybrid of Gilbert and Patrick physicality. Mel: You currently do 6 shows a week. How do you pace yourself so that you can maintain a sense of freshness, while also nurturing Patrick? Patrick: I believe that if you do the work before rehearsals, throughout the rehearsal process, as well as through preview performances, you will find that the creative well will always have water to make your character fresh and new. Giving you, the actor, the luxury to leave your work at the workplace, and enjoy all of the things you find pleasure in in life. Moments change, develop and grow throughout a run of a show, and those also help maintain creativity in a set role. I am always open to new opportunities to play at work. That is how I approach and maintain my passion for what I do. I love that idea. Play. I think that is something many of us (including me) forget about when we are into something particularly challenging. Play. I invite us all to explore this this week. Be sure to come back on Thursday as Patrick and I examine people’s reactions to his interpration of Gilbert Blythe, as well as his own impressions of why this character is so popular. 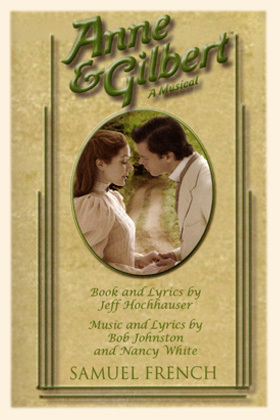 This entry was posted in Anne of Green Gables, Embodying Character Series, Inspiration, Literary Book Boyfriends, Theatre, Writing, Writing Life and tagged anne and gilbert, anne and gilbert: the musical, anne of avonlea, anne of green gables, anne of the island, ellen denny, Gilbert Blythe, lm montgomery, patrick cook. Bookmark the permalink. I think I shall take that challenge on! Thanks! Me too, Carolline. I look forward to seeing how it goes. I’m so glad it was helpful. Are you working on something?